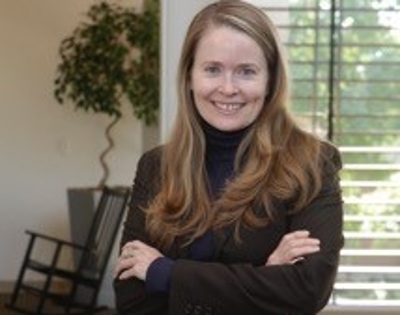 IRVINE, Calif. — University of California, Irvine School of Law is pleased to announce that Anne Bloom has been hired as Executive Director of the new Civil Justice Research Institute (CJRI). Bloom joins UCI Law with a distinguished career in public interest law and academia. Most recently, she was the Director for Public Programs for Equal Justice Works. Previously, she was an Associate Dean and Professor of Law at McGeorge Law School and a Professor of Political Science at Occidental College. She has a J.D. from the University of Maryland and a Ph.D. in political science from the University of Washington. "We are so fortunate that Anne joined us to direct our Civil Justice Research Institute," said UCI Law Dean Erwin Chemerinsky. "I am very excited about the Institute and its mission of doing careful research on how to best ensure that those who are injured have access to justice." "I am excited and honored to serve as the first Executive Director of UCI's Civil Justice Research Institute," said Anne Bloom. "We have an obligation to do what we can, as scholars and lawyers, to ensure the continuing integrity of our legal system and to protect the rights of individuals to have their day in court. I look forward to working with the legal community and scholars around the country to fill this critical need." The mission of UCI Law's new national Civil Justice Research Institute is to explore, through interdisciplinary, academically-based and independent research, how the civil justice system can be made more available to everyone seeking relief. The Institute is advised by a prominent national Board of Advisors, chaired by Roman Silberfeld, Executive Board Member of Robins Kaplan LLP. "I'm pleased to join the University community in welcoming Anne as our Executive Director," said Roman Silberfeld. "In these challenging times, access to courts and the opportunity to seek redress of grievances is more important than ever, The critically important work of the institute will help maintain access to the legal system for everyone." Topics for research will include issues that influence the growing limits on access to our court system, including (among other topics) inadequate funding of state and federal courts, increased use of compulsory arbitration clauses, restrictions on class action lawsuits and limits on punitive damages.